I just finished shooting my second feature film, Death To Prom, and there are a couple of tools that I would like to pass along that were indispensable: a battery charger (so I could sleep) and a monitor (so I could see). 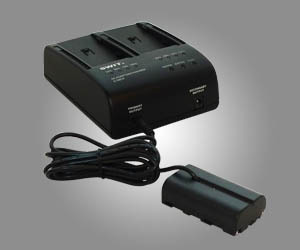 The first one is the SWIT 3602F dual channel battery charger. It charges Sony NP-F970 batteries very very rapidly and two of them simultaneously, so a four-battery charge can be done in a matter of hours instead of having to wake up every four hours and change just a single battery. I really really thought that this was a worthwhile investment as it costs about the same (and is the same size) as an official Sony single-battery charger (which I almost bought), so look it up and get one in your bit of gear today. It let me sleep a lot better! The second item is a monitor. 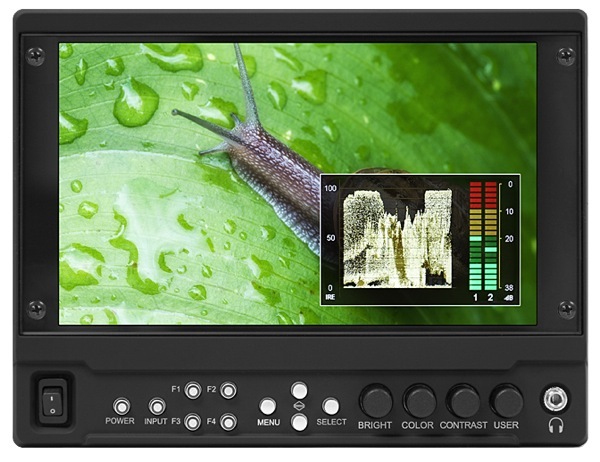 I looked at several monitors (IKAN, SmallHD, Marshall, and TVLogic) over the past six months and just wasn’t convinced that any of them were the perfect solution (if there was one). There were high price tags, mediocre reviews, low-resolution panels and other factors that turned me off. Just a week before we started filming I heard that Marshall had a new 7″ IPS HDMI monitor coming out that sounded like it covered all the things I desired. The local dealer called for me and found out that they had six of them ready to ship out to the first customers. One of them was me. And what a joy! The V-LCD70MD is thin and large and bright and sharp and lasts quite a long time with an NPF battery. It has HDMI in and out and an option to upgrade to HDSDI in the future. Some of the features include peaking, false color, clipping, waveform, 1:1 zoom, audio meters, custom marker guides, and DSLR presets. There are 1/4″-20 mounts on each side. I love this thing and after a month of using it daily, I can’t imagine going without it in the future. One addition: spend a few bucks and get some right-angle HDMI adapters from Monoprice. Highly recommended. Jeremy Wilker is a filmmaker and cinematographer based in Minnesota. He has two feature film projects, DEATH TO PROM and TRIUMPH67, and various docs and shorts. He enjoys board gaming and snowboarding and playing with his kids.